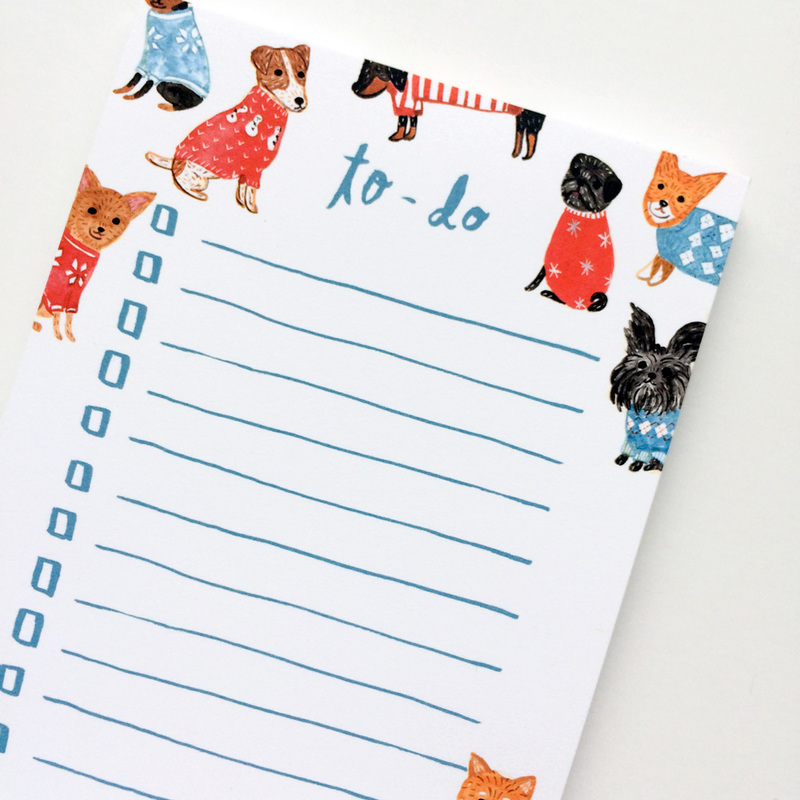 I’m really excited that my brand-new fabric shop just opened on Spoonflower! To give you some inspirations, I wanted to share some of the fun projects I’ve worked on with my new fabric collection. If you’re not that into sewing or you’re a beginner like me, you’d be glad to know there are still lots of things you can make! 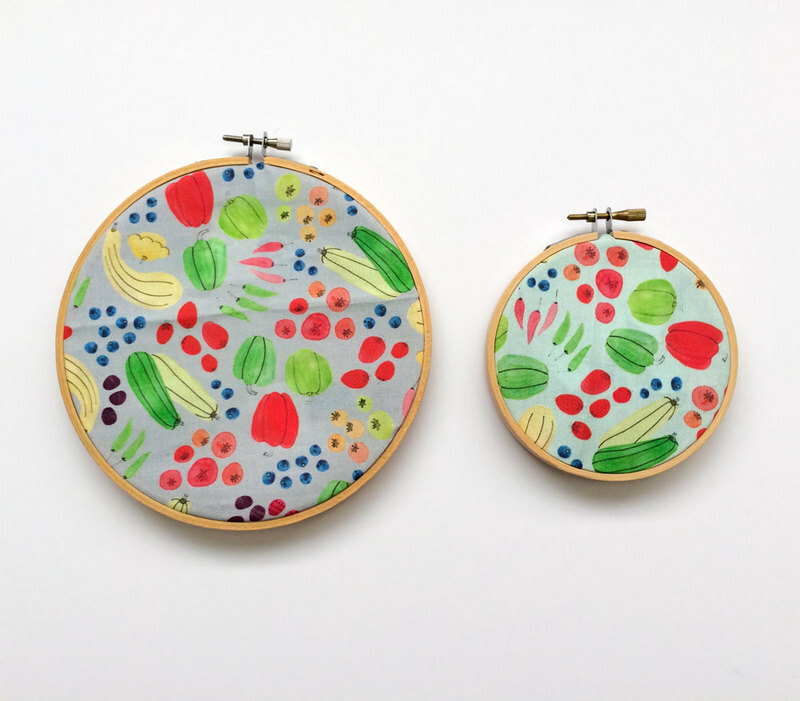 For example, check out these hoop art with my Eat a Rainbow fabric. 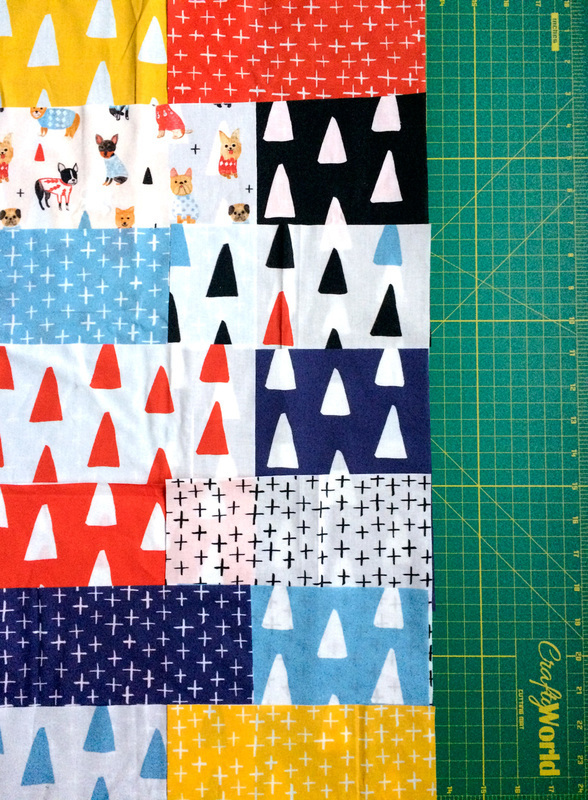 There is no sewing involved (winner!) and yet so cute. 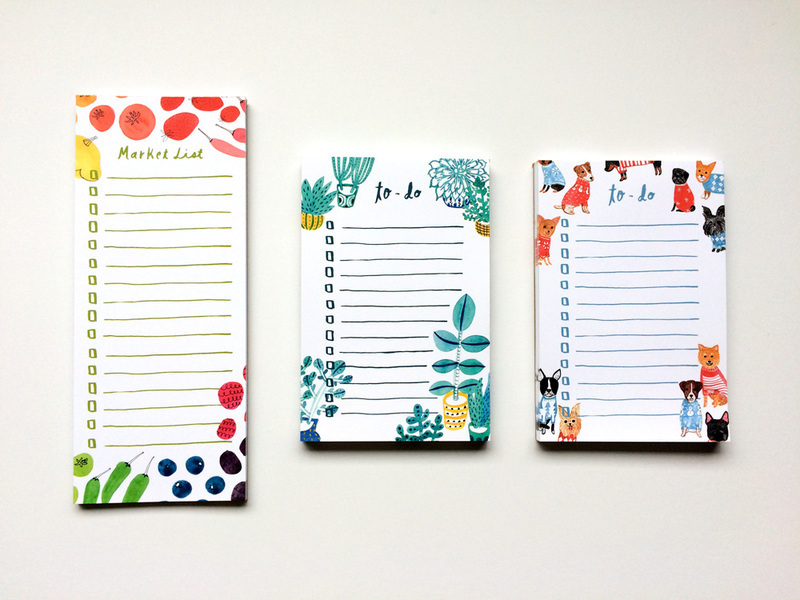 Wouldn’t they be perfect in your kitchen or in your kids’ room? 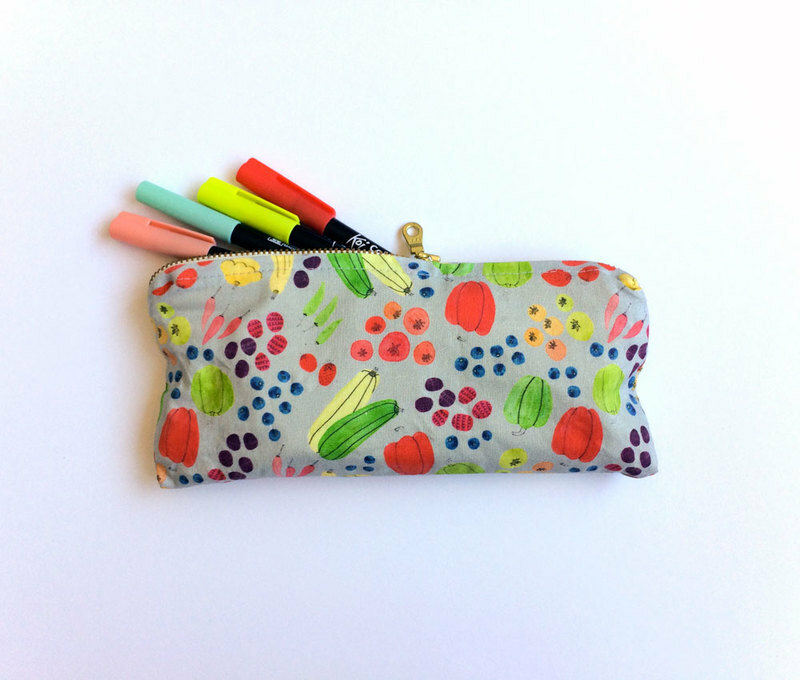 I also made a few zippered pouches – which, I confess, was harder than I thought, but with more practice I know it would be a fun thing to make more of! I carry my favorite drawing markers in my pencil pouch when I’m on the go. 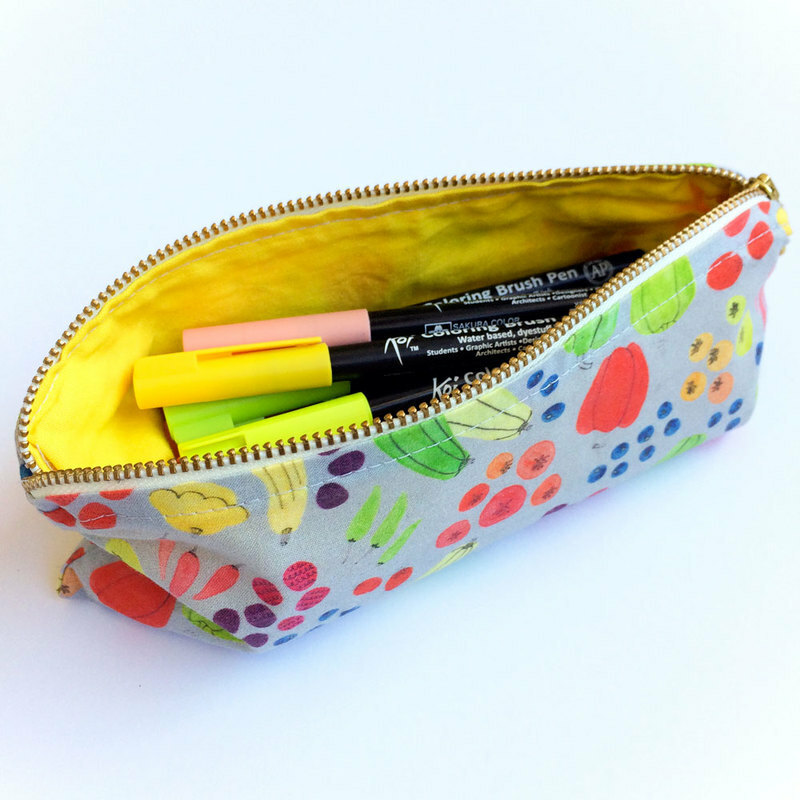 I used a bright-colored fabric for the liner inside to make it extra cheerful and easy for me to see what’s inside. 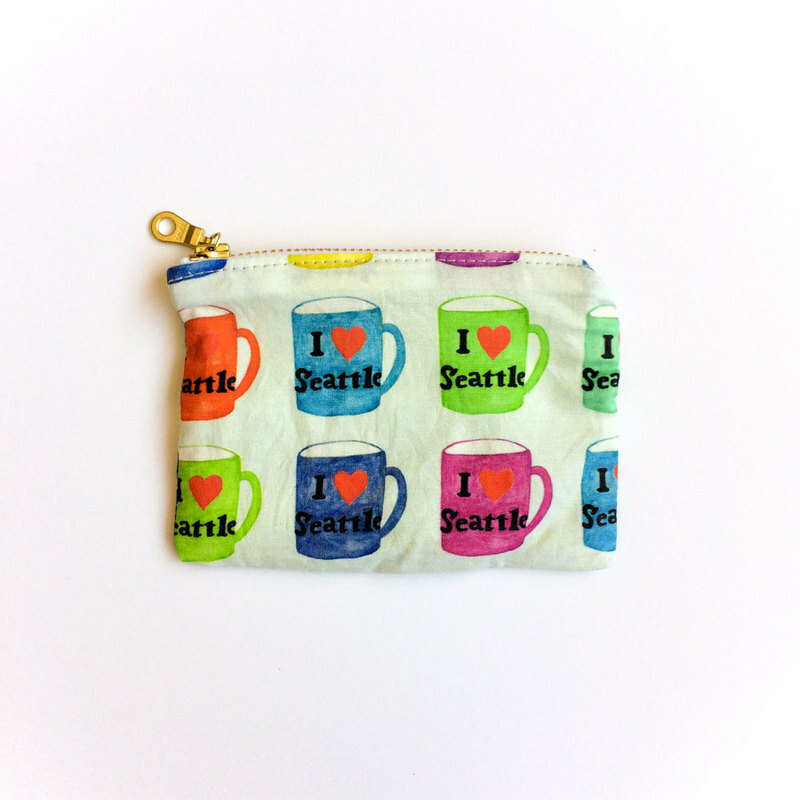 I made a small coin purse as well with my I heart Seattle Mug fabric. How adorable is this?? It’s a perfect size for my business cards and I keep them organized in my bag. I shared this bag on my blog a few weeks ago, but these Azuma bags are pretty simple to make. 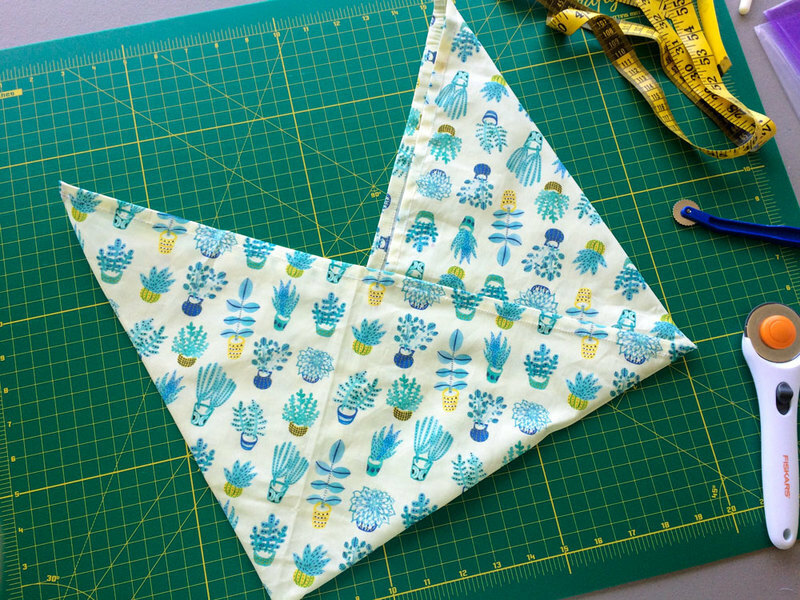 It’s constructed with just one rectangular Succulent Plants fabric and sewing straight lines. I can carry my wallet, phone, and keys in this bag to go grocery shopping, or throw in my favorite snacks to go when I go to my pottery class. 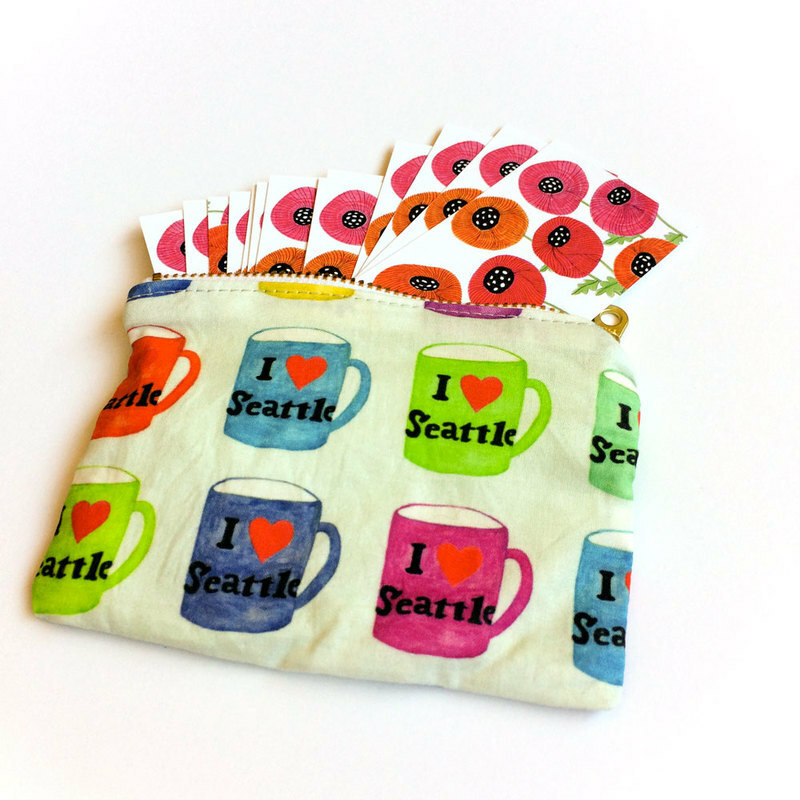 And these coasters are a great way to use up your scraps! Easy, peasy. 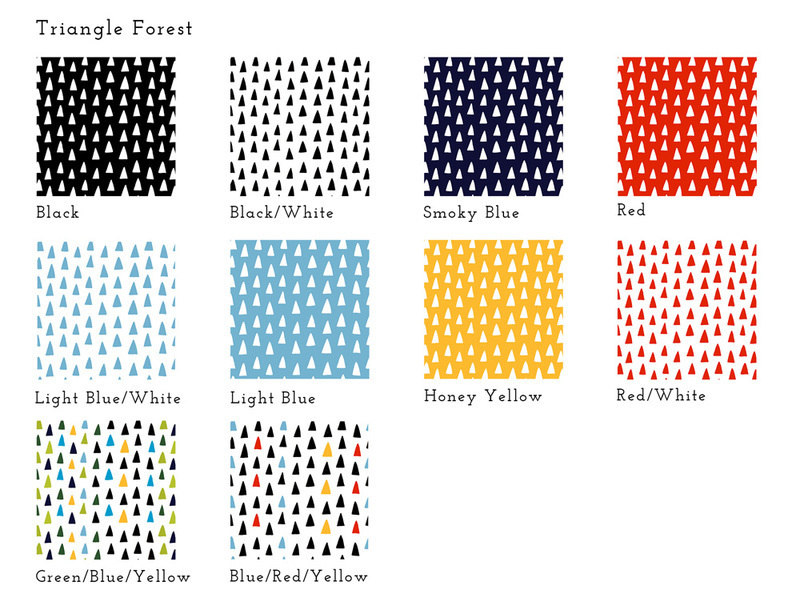 You can shop these fabrics in 24 different materials in my fabric shop now! Make fun things and share your photos with me 🙂 Tag your pics on social media with #honeyberryfabric so I can see them. 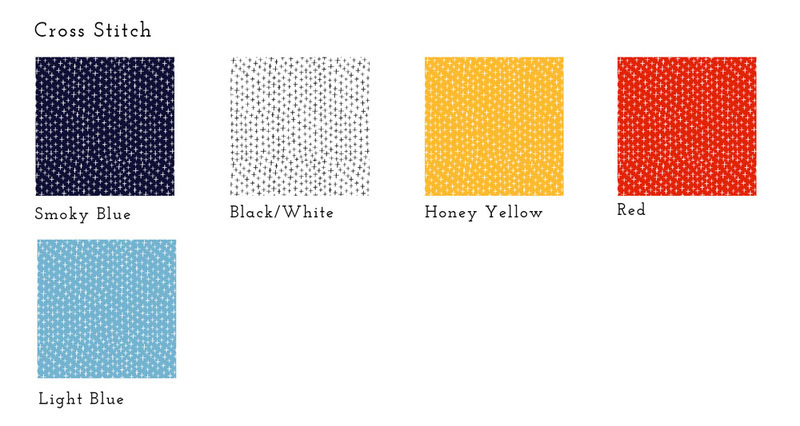 My new fabric collection on Spoonflower! 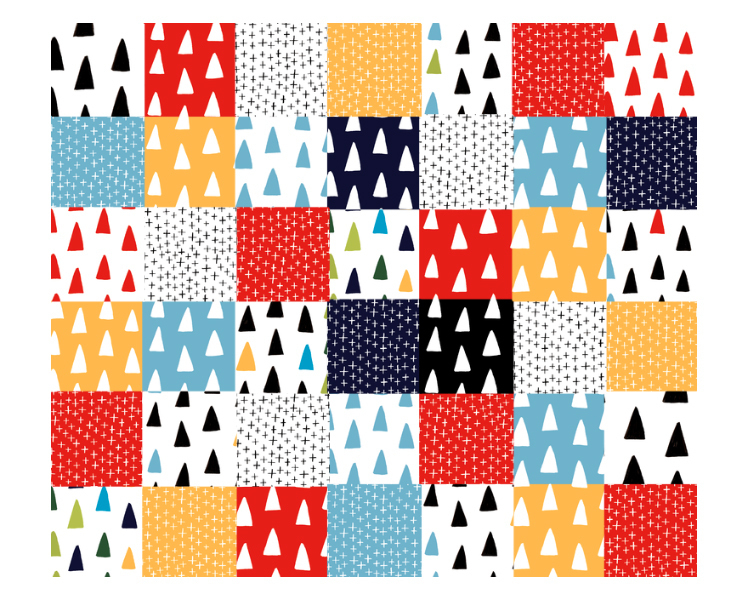 I’m super excited to tell you my very first fabric collection just came out on Spoonflower! 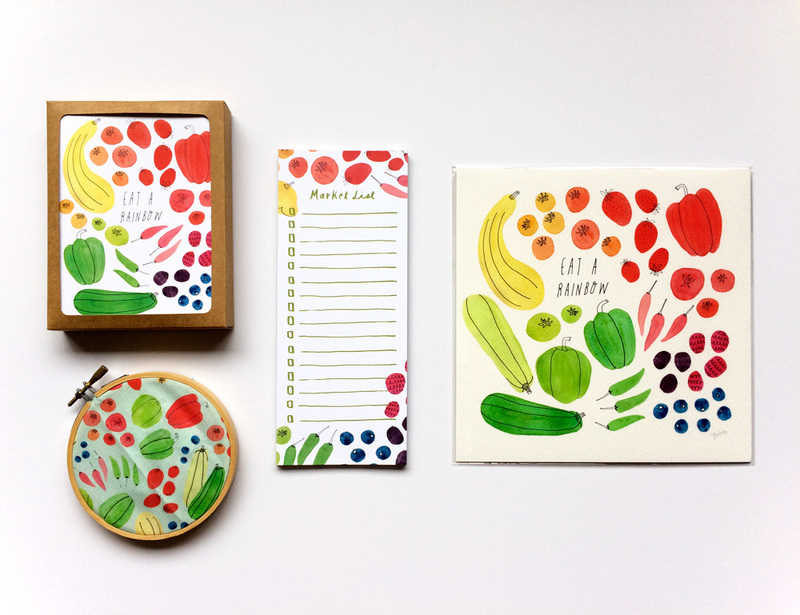 I have four new designs in fun cheerful colors. 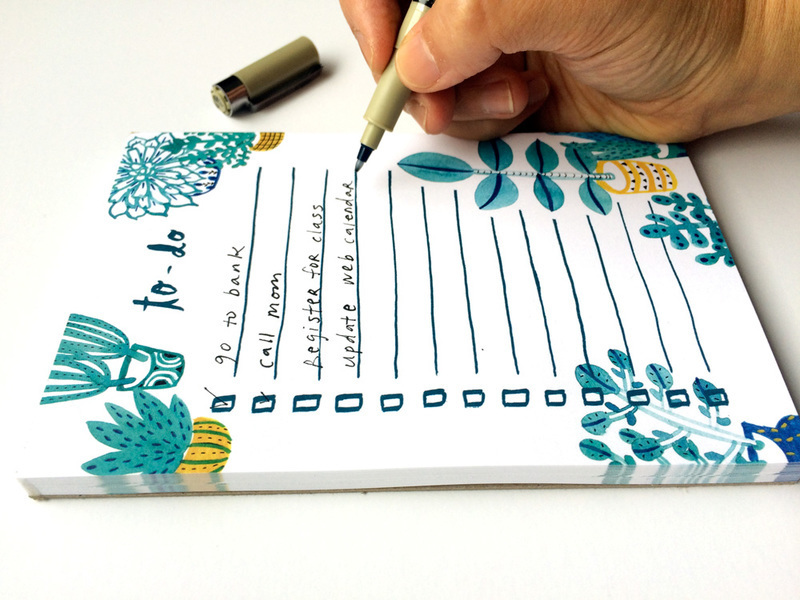 They’re perfect for sewing garments, home decor, bags, and other creative projects. Eat a Rainbow fabric comes with two background colors: light grey and light blue green. Rooster Friends fabric is just SO MUCH FUN. When I shared this design with my followers on Instagram, a lot of people said it would be perfect for a little kid-sized apron. Anyone want to make one and show me?? I think it would be ADORABLE. 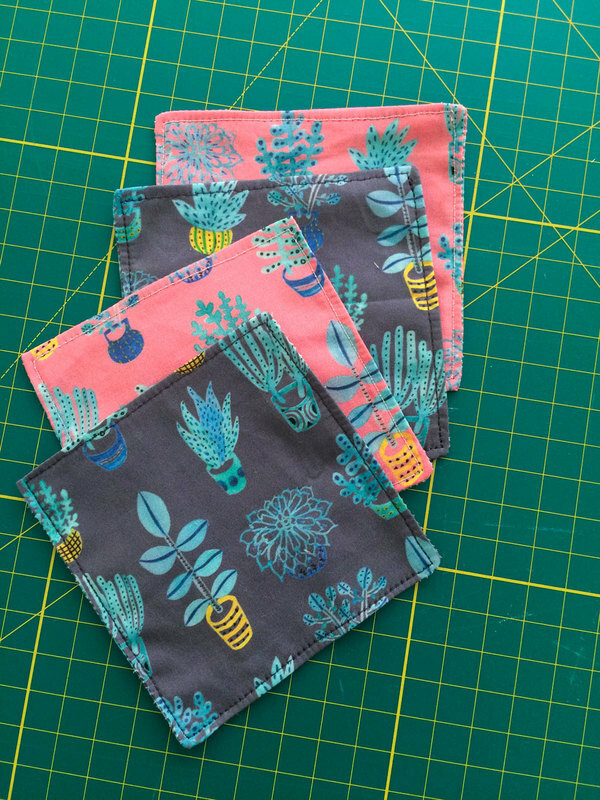 Succulent Plants fabric comes with three background colors: light yellow, charcoal grey, and pink. Last but not least, I love the rainbow colors in this I ❤ Seattle Rainbow Mugs fabric! What’s cool about shopping your favorite fabrics on Spoonflower is you can choose from so many different fabric types (24 to be precise!) from basic cotton to flowy chiffon to snuggly fleece. The possibilities are truly endless! p.s. 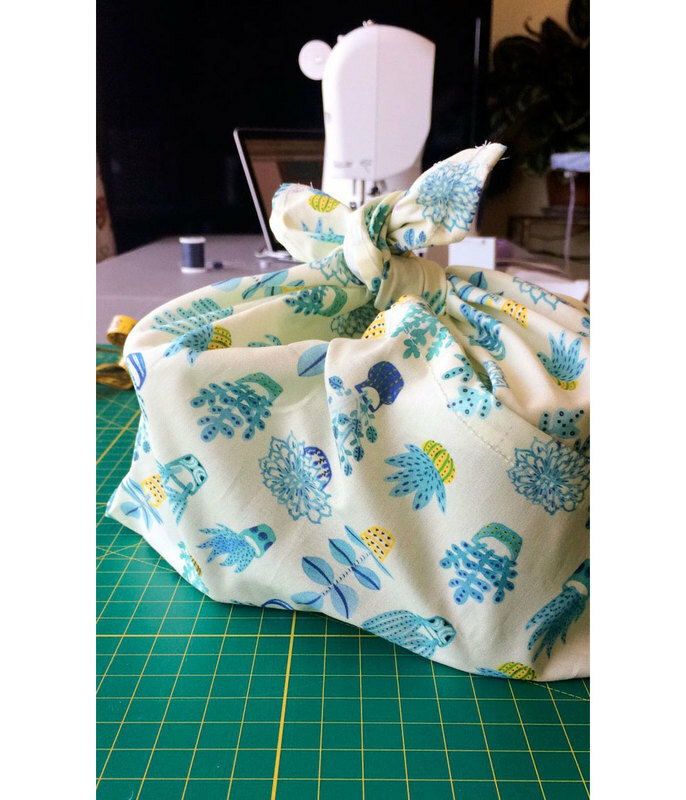 Be sure to use the hashtag #honeyberryfabric if you post your sewing project with my fabric on social media! I’d love to see what you come up with.